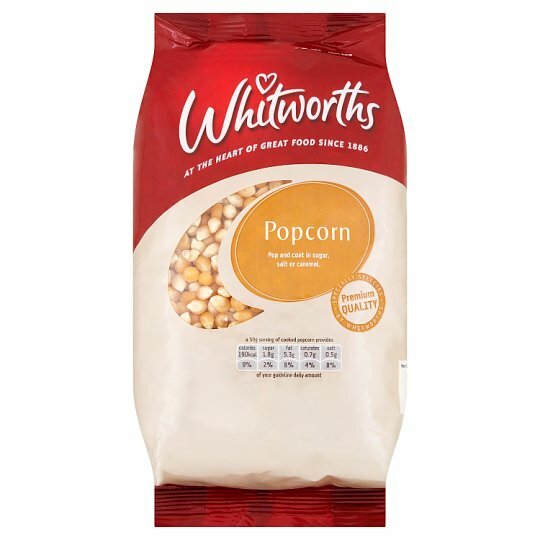 Whitworths range of products are at the highest quality from all over the world. They are selected and packed to meet our very demanding specifications. They are checked at every stage, both in the country of origin and here in the UK to ensure that they reach you in perfect condition. At Whitworths, our passion for quality ensures that you can enjoy the best taste every time. Store in a cool dry place. Once opened, store in an airtight container., Best before end: see side of pack. Warning: Do not eat raw product. Some kernels may not pop, so we suggest you enjoy with care.